Are you up to the challenge? During the month of August, we’re helping to sponsor the Montana Local Foods Challenge which encourages you to eat local food every day. Local and sustainable food has long been a focus in Xanterra’s purchasing practices and this partnership is a great way to encourage our guests to help support the effort. 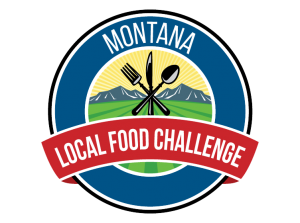 The Montana Local Food Challenge is an opportunity for individuals, families, and businesses to challenge their current buying and eating habits and make a commitment to eating locally while learning about the myriad of benefits to be gained from localizing our thinking. There will be a fun new challenge every week, encouraging you to ask for more local foods in your community and to help support Montana agriculture in a bigger way. build community and local economies. support local farm and ranch families. protect our regional food security. taste better and is often fresher. support a clean environment and benefits wildlife. If you’d like to learn more about the challenge, you can visit the resources page or click on the local food map here. Additionally, you can take a look at all of Yellowstone’s dining options (including the 4-Star Green Restaurant Association Certified ) and check out some of the sustainable menu items that we have here.